The hunt for better non-lethal weaponry gained new urgency when several people died in recent years after being shocked by a Taser. The LED Incapacitator, funded by the Department of Homeland Security, is a novel alternative. 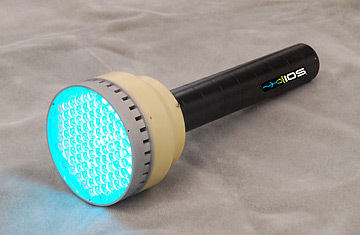 When officers shine the flashlight-like device in a person's eyes, high-intensity LEDs, pulsating at varying rates, will make the suspect temporarily blind and dizzy.